As I’m sure many of you also do, I rent. I also have a bunch of tchatskis/pictures/etc and not a lot of space, so I need to utilize some vertical space to display them. I bought some shelves from Urban Outfitters that I thought were really cool, but would have required 4 screws each. Eight holes in the wall is not really the best situation when you’re renting. My boyfriend and I kept getting cold feet before putting them up, so I started exploring more options for shelving that required only one small hole. (Ps – If you’re interested in two really cute shelves from Urban Outfitters and are not concerned about holes, hit me up.) 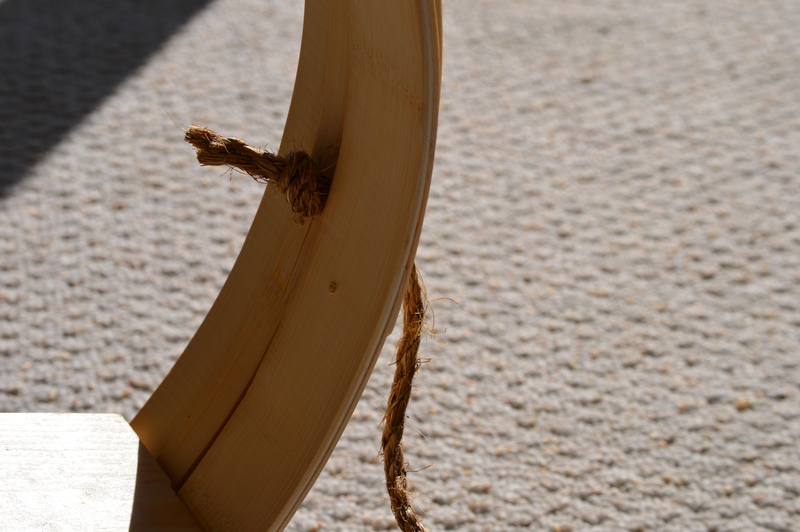 What initially came to mind was some type of shelf/shelves that hung with rope or string and therefore required only one or two holes each (thus creating little damage to the walls). 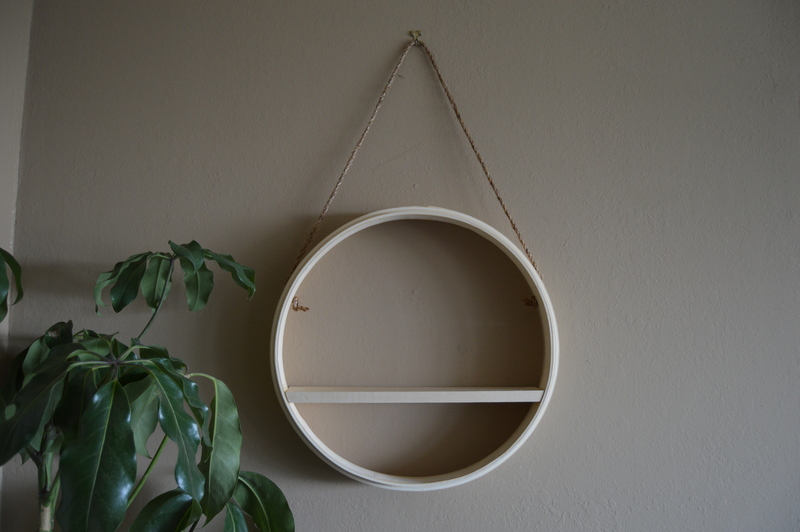 I found a round shelf I really liked on some site, but waited too long and it somehow totally disappeared. I wasn’t able to find a similar style, which really surprised me. 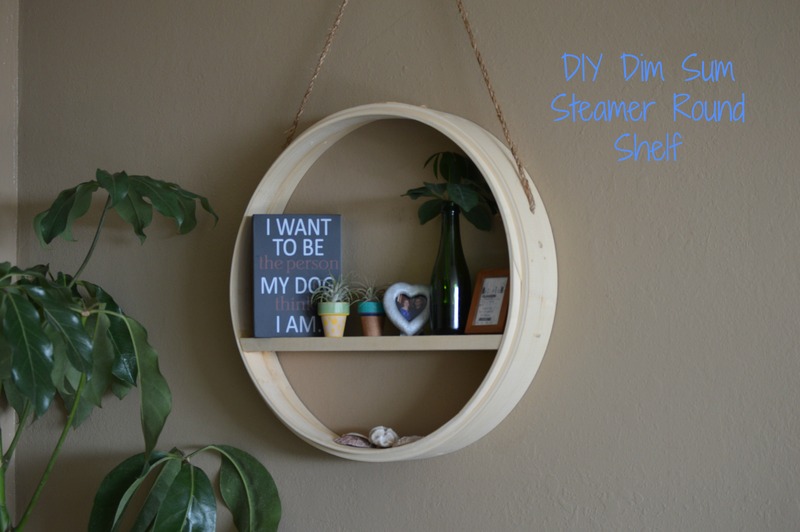 Anyway, upon looking endlessly for DIY round shelves, I came across this post from A Pair and A Spare DIY and thought it was a really great idea! I think she found her dim sum steamer just walking on the streets in Hong Kong, so I was initially a little skeptical of how I was going to replicate this. However, my boyfriend mentioned that we could probably find one at a restaurant warehouse store. HE WAS RIGHT! A google search just happened to bring up Kamei Restaurant Supply in San Francisco, and it just happens to specialize in Asian restaurant supplies. Jackpot! Were able to find a fairly large one that would nicely match the size of our wall (and fit a bunch of stuff!). 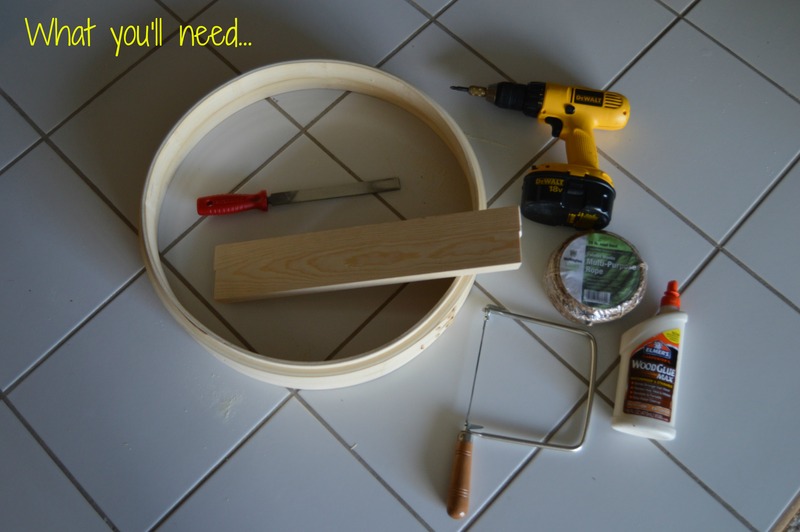 Anyway, this is a great project for those of us who want something a little unique with little damage to the walls. Now here’s what you’re really looking for…how to make it! 1. 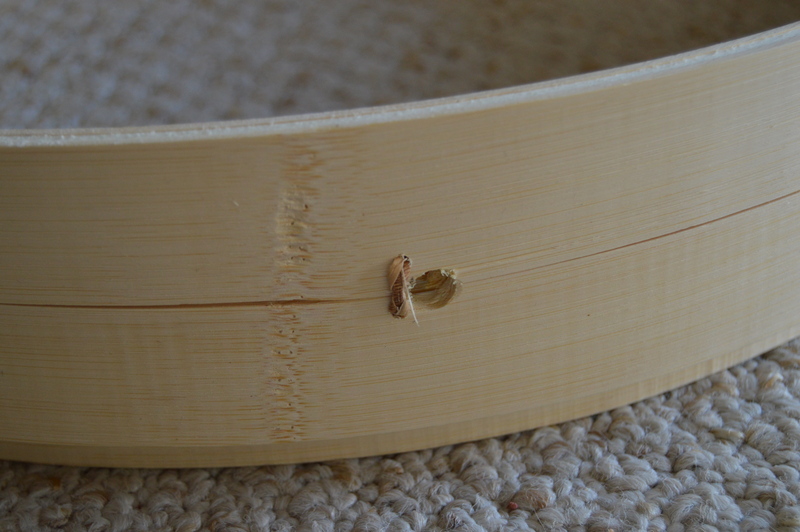 Remove the criss cross backing of the dim sum steamer. This was actually pretty easy and you just need to wiggle the pieces to get them to come out. 2. 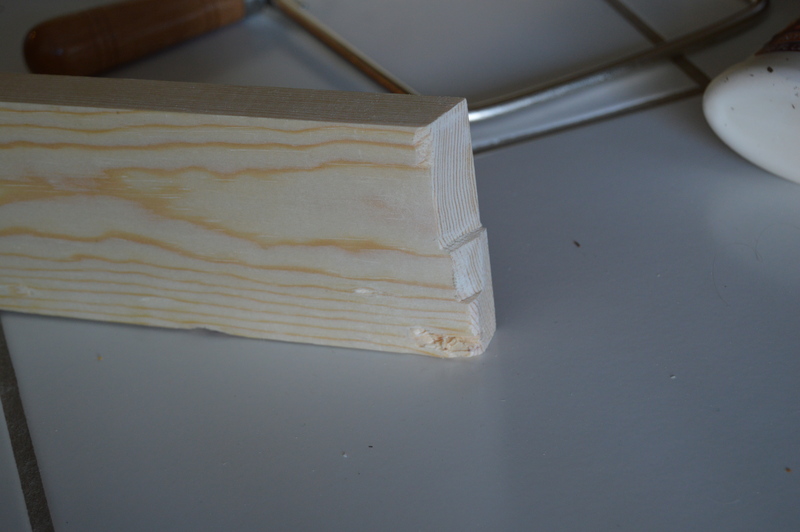 Cut the plywood down with the hacksaw so it is an appropriate size to fit approximately where you’d like the shelf to stand. I put mine about 3/4 of the way down, but you can make it higher or lower as you please. 4. 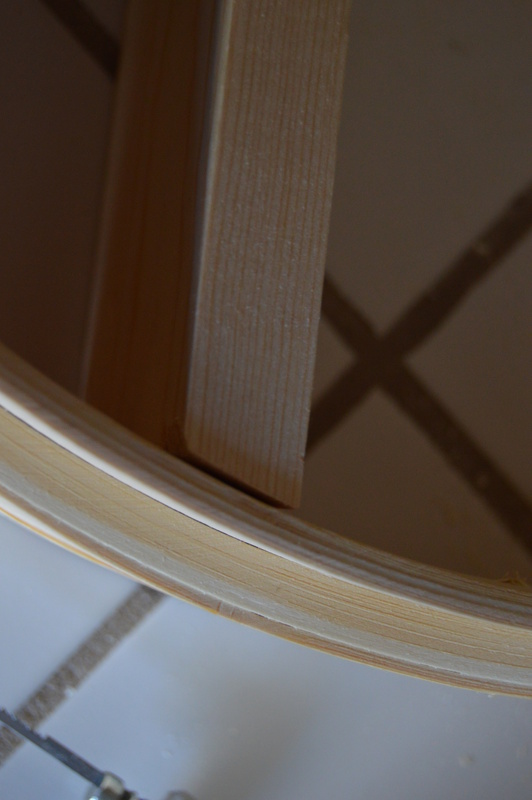 Use the wood glue to glue the shelf onto the sides of the dim sum steamer. The shelf should fit snug and stay put naturally, but it was very hard to get it that way, and still wasn’t completely exact, so I’d recommend using some glue to ensure it stays. 5. 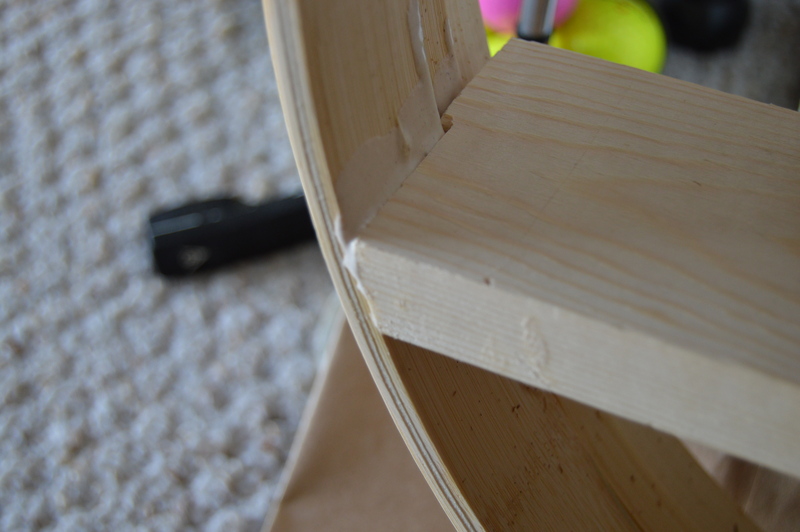 Use the drill to drill two holes on both sides of the steamer. Be sure to measure so that the holes are even! 6. 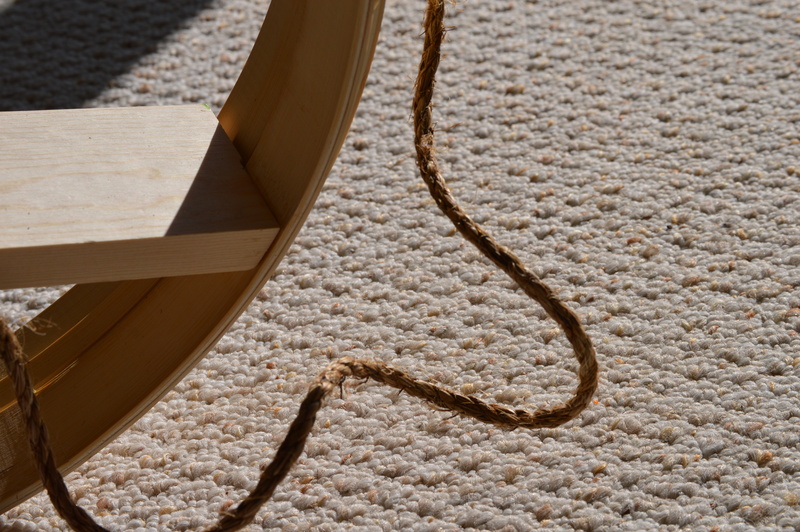 Thread the rope through the holes and tie. 7. Hang up on your wall using whatever hanging materials you deem necessary for the wall you are hanging it on. We choose a picture hook. Decorate however you please!